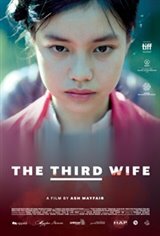 In 19th century rural Vietnam, 14-year-old May becomes the third wife of wealthy landowner Hung. Soon she learns that she can only gain status by asserting herself as a woman who can give birth to a male child. May's hope to change her status turns into a real and tantalizing possibility when she gets pregnant. Faced with forbidden love and its devastating consequences, May finally comes to an understanding of the brutal truth: the options available to her are few and far between.